Winery: Located in Lombardy, northern Italy, Cantina di Casteggio is a cooperative that was established in 1907 by a 100 grape-growers. Their goal was to create a consolidated winemaking center that could represent the entire group of growers. In 2008 they merged with another cooperative, Cantina di Broni, which added 85 more growers and large vineyard plots of 25 acres, therefore increasing production capabilities. Winemaking: Grapes were sourced from 15 year old vines growing in calcareous and clay soils. Aged in stainless steel tanks. Tasting Notes: Transparent dark garnet in colour with plush aromas of raspberry, woods, black pepper and leather. Concentrated cherry flavours are laced with earthy summerwoods and peppery spices. 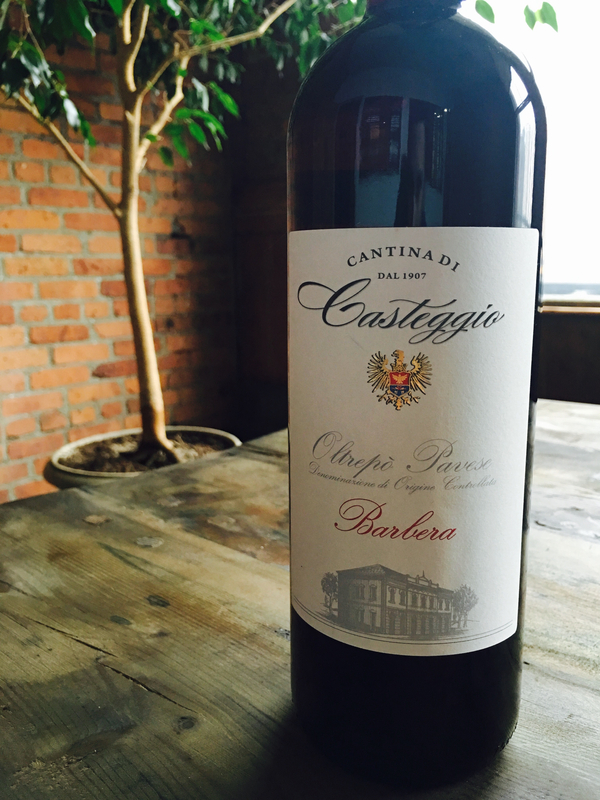 Food friendly acidity brightens every sip, a hint of sour cherry lingers on the dry finish. A fantastic companion to a wide variety of dishes.